A Festive and Nutritious Cinco de Mayo | Winners Drink Milk! Cinco de Mayo is upon us! Are you planning to get together with friends and family? Possibly over margaritas and some delicious food? We have some great recipes that are sure to be a hit with your guests. Contrary to popular belief, Cinco de Mayo is not Mexico’s Independence Day. That is celebrated on September 16th. May 5th (Cinco de Mayo in Spanish) is observed in the United States as a celebration of Mexican heritage and pride and to commemorate the cause of freedom and democracy during the first years of the American Civil War. This year, the OneAmerica 500 Festival Mini Marathon also falls on May 5th. However, running 13.1 miles does not give us a free pass to eat whatever we want. 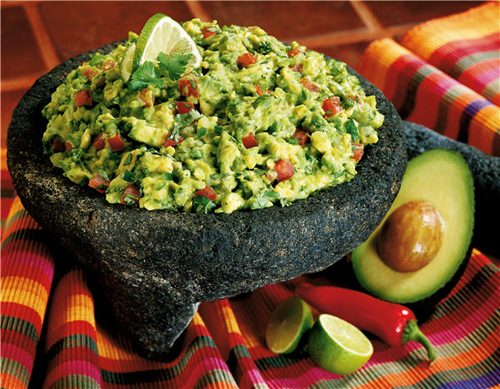 A treat now and then is good, but remember the basics of nutrition when planning your Cinco de Mayo feast. Cheese is a staple ingredient in many dishes served during Cinco de Mayo celebrations and is a terrific way to satisfy your taste buds while fueling your body with the good nutrition it needs. Cheese and other dairy products have nine essential nutrients, including protein, calcium, vitamin D, vitamin A, vitamin B-12, potassium, phosphorus, niacin and riboflavin. I know that’s a mouth full, but it’s a long way of saying that dairy products are a nutrition powerhouse and are a great addition to your Cinco de Mayo celebration dishes. And if you are enjoying spicy food during your celebration, cool it down with an ice-cold glass of milk. Works like a charm.